Would you like to become a gifted guitar player? Want a quick and easy way to accomplish it from within? Great guitarists know their instrument back to front. They can blend in or stand out, picking or strumming to suit the style of music. They know where every note and fret is situated and make the whole process seem effortless. 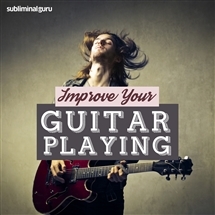 With the Improve Your Guitar Playing subliminal session, you'll unleash your natural musical ability! As you listen, thousands of powerful positive affirmations will rewire your thinking, helping you adapt to your instrument's demands. You'll start to relax and let your talent take over, trusting in your instincts. You'll quickly familiarize yourself with chords and hand positions, able to produce music with confidence and finesse. 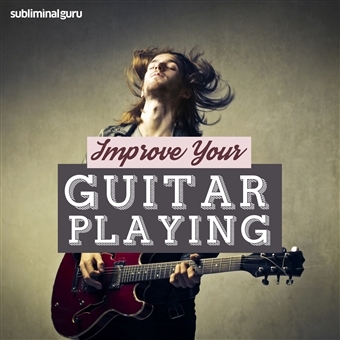 Download the Improve Your Guitar Playing subliminal audio now to become a skilled and fluent guitar player as quickly as possible. I can master the guitar. I have natural strumming skills. I know where every fret is on the neck of my guitar. I practice the guitar every day. My guitar playing is instinctive. Playing the guitar comes naturally to me. Every day my guitar playing improves. I keep my guitar in excellent condition. I love playing the guitar for other people.